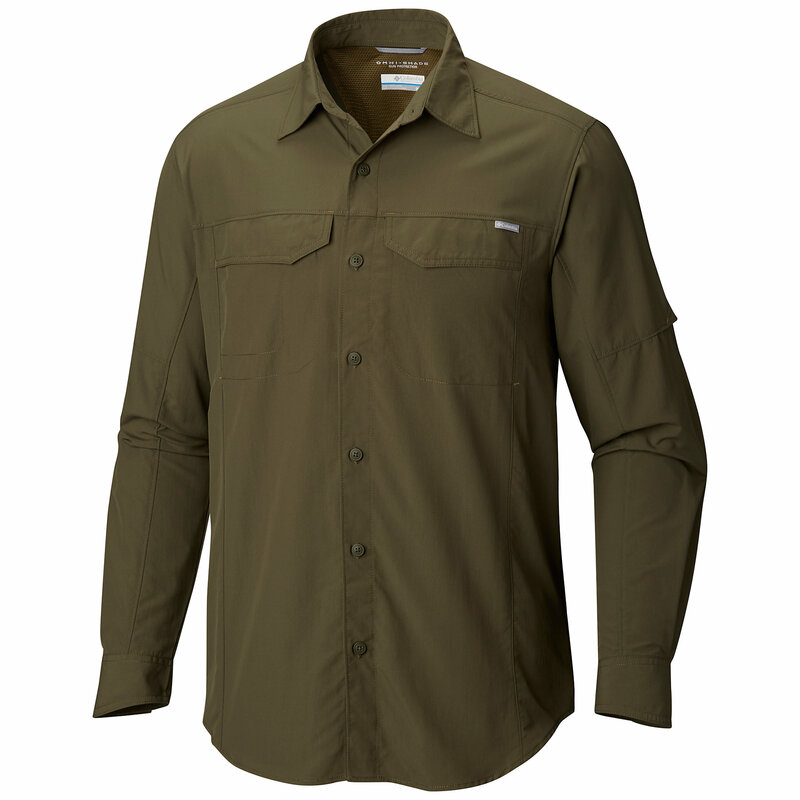 Practical and comfortable polycotton hiking shirt. This shirt by British brand Craghoppers is designed as a practical garment. It has a solar collar extension which folds under the collar but can be raised to protect the back of your neck from the sun. 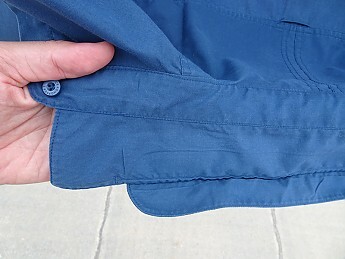 It has button-up tabs to hold the sleeves in place when they are rolled up. 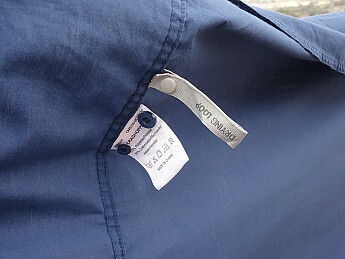 It has a pair of drying loops and it comes with two spare buttons sewn to the label. 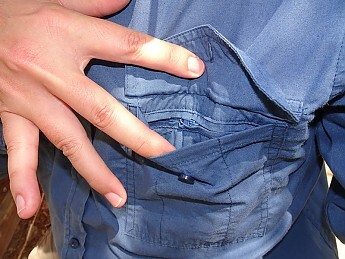 The shirt has two button-fastening chest pockets and a zipped security pocket inside the left chest pocket. The security pocket is big enough to take a passport, although getting it in and out is tricky because the opening of the pocket is narrow and inaccessible. 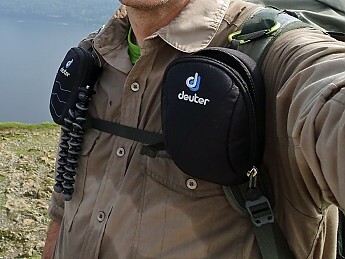 I tried the security pocket for the purposes of this review but otherwise, to be honest, I have never used it. 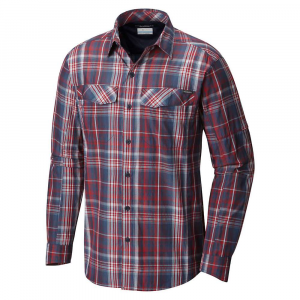 The shirt is made of a 65 percent polyester / 35 per cent cotton blend which feels comfortable. It is reasonably quick drying. The shirt weighs around 255 grams (9 ounces). 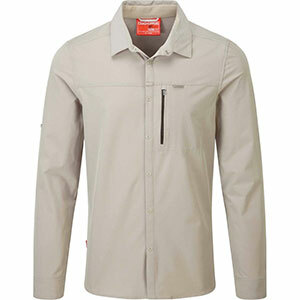 There are lighter nylon shirts, but nylon is less comfortable and picks up odours more quickly. 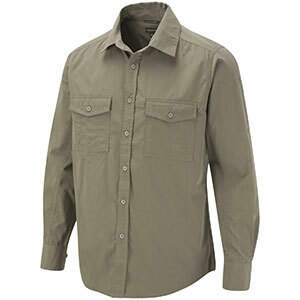 As for durability, recently I did a five-day long-distance hike and I wore one of these shirts the whole time. To save pack weight I took no spare. I walked in the shirt and slept in it on the nights when I camped. I had hoped I would be able to wash the shirt and let it dry overnight, but none of the items I did wash dried overnight and I had to carry them on the outside of my backpack so they could dry while I walked. This discouraged me from washing the shirt and by the end of the walk sweat had formed white patches on it. But when I was finally able to wash the shirt, it became virtually as good as new. I am 6' 1" with a 41-inch chest. According to the Craghoppers size guide I fall between medium and large, but the shirts are generously sized and I have found the medium to be a good fit with room to spare. The sleeve length is adequate for me. A drawback to this shirt is that the material darkens when wet, so it becomes obvious if you sweat while walking like I do. I often end strenuous walks looking like I've just run a race. Also, the collar seems to pick up dirt more quickly than other shirts, developing a noticeable and unsightly dark band that takes a fair bit of scrubbing to remove. But these are minor points. 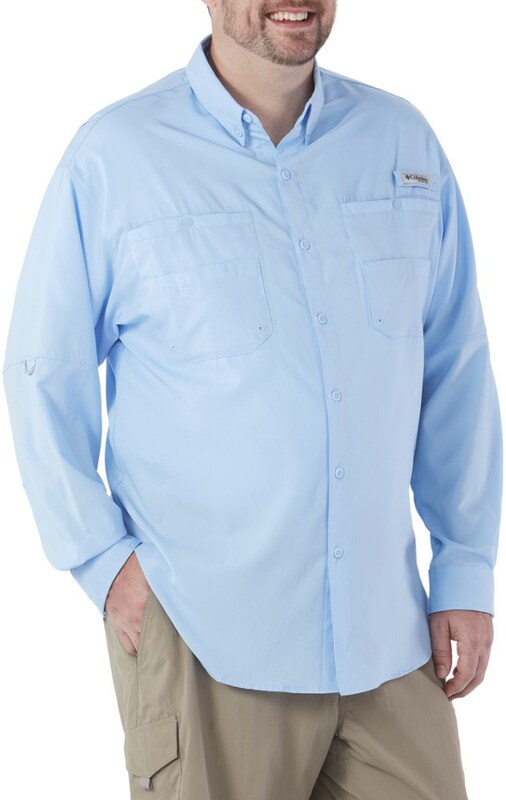 I have four of these shirts in different colours and they are my go-to shirts for hiking. Would I buy more in future? It depends on the purpose. They are excellent for day hikes or longer treks where washing and drying facilities are available along the route. But if I anticipated difficulties in drying clothes I would, in the light of my recent experience, go for an all-synthetic shirt in the hope that it would dry quicker so washing it en route would be more feasible. I bought a couple of nylon shirts and when I washed each one for the first time, I threw in a Craghoppers Kiwi shirt to compare drying times. On both occasions the shirts were air-dried. To my surprise, the Kiwis dried as fast as the nylon shirts. That's impressive performance for a part-cotton garment. Nice review, Charles! Thanks for sharing your experience with this shirt. Craghoppers is becoming more well known here in the US. Thanks Alicia. I admit I like the brand though needless to say I have no connection with them. 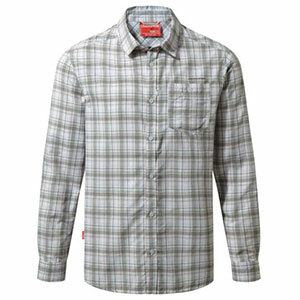 The Craghoppers Kiwi Long-Sleeved Shirt is not available from the stores we monitor.